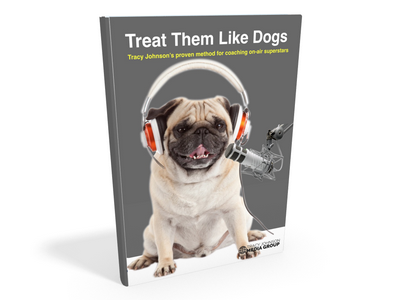 Success on the radio is all about storytelling. It’s at the heart of every break every day. To be a better storyteller, it serve you well to learn from the best and the best in telling stories for decades has been storytelling the Pixar Way. You are human. Act like it, and embrace it. Be a real person, vulnerable and relatable. The struggle, the effort is more relatable than the glorious victory that results. Building friction into every story on the air introduces traction to the segment, which gives your audience something, or someone, to cheer for. You get tired of the song, the feature, the story, the promotion, the contest, the game…long before they do. It’s your job to create the experience for them. It’s not for you. It’s not about you. it’s about your audience’s experience. That, by the way, happens through you. It takes a certain maturity to step outside of your own experiences and get into the audience’s head. This speaks to preparation in detail. And editing. Oh, and planning. You might want to add thinking ahead. Then revising it. And then adjusting it again. How many times have you performed a break that took a twist or turn, leaving you in a different place than you began or expected to be? Often, I suspect. Wouldn’t your content be stronger if you planned the story to lead up to that great moment? Think about this one. Think about it deeply. Play with it. Apply it. It opens a world of possibilities. This rule of storytelling suggests the forward pace and momentum of the story. It needs a hero, an action, a challenge, a consequence and an outcome. It also suggests that you should use your imagination to Embellish. Exaggerate. Enhance. Entertain. Again, edit. They don’t pay much attention. It takes a lot of time and effort to make it simple enough to understand and really GET it. When there’s too much going on, listeners become confused, and when they’re confused they stop paying attention, which leads to tune out. Conflict creates entertainment. Build a challenge into every single break. 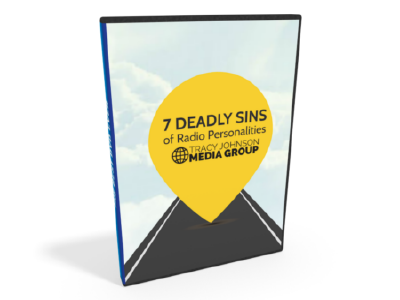 This can be a powerful tool to enhance your on-air character’s personality traits as developed in the personality brand profile. Comedians write punchlines first, then back up and tell the story in a way that gets them to the payoff most effectively. Mystery writers know the outcome of their story before they can possible write the chapters leading to the surprise reveal at the end. Reality show producers tell the story of each episode only after they know the final outcome. Go and do likewise. Strive for excellence, not perfection. Perfection is in God’s hands. Don’t wait for your content to be perfect. It would be great if you could achieve perfection, but you probably won’t. This is a great tactic to get you over the hump. Opposites can turn into positives. When you list the things that will not happen, the opposite is a possibility. This is one of the tactics we use when defining your five star personality brand. Listen to great radio shows that command your attention. Study them. Tear it apart. What is it that attracts you? Why does it keep you captivated? As you do, identify the essence of the break or story. That’s rarely the facts, information or details. It lies behind the surface, at the heart of what the break is really all about. Personalities think they can wing it because they’re talented, or they keep great ideas to themselves to surprise their co-hosts on the air. They may be talented, but nobody can just wing it every day. And if performing with partners, it puts them at a tremendous disadvantage. This is where it gets hard, and it’s also where the magic happens. Start with the topic. Your show prep process should turn that topic into ideas, then into on-air content possibilities and finally into entertainment. Think about great movies or characters in movies that have made an impact on you. Your favorites. They have a clear point of view, don’t they? Perspective in each break is everything. If you aren’t putting yourself out there with a strong point of view, you’re generic and nobody falls in love with generic. Are you excited about the content you’re presenting? No? Find something else to talk about. Yes? Then do it. Passion drives reaction. Reaction and response make you memorable. Memorable causes return listening occasions. More listening means higher ratings. Ratings results in bonus checks. Pixar’s rule is writing a story for a third person or character, whereas your content will be more personal, but it’s still all about appealing to emotions, not the circumstances that cause the emotions. The circumstances are just details, the tools a storyteller uses to connect on an emotional level. Building risk or suspense into a break gets the audience involved. When listeners feel they know you and care about you, they root for you. That comes from giving them a stake in your story and causing them to identify with you and like you. One of the rules of brainstorming is “no bad ideas”. In fact, many times those discarded thoughts come back as a great idea in the future. Maybe you launch a break that got nowhere and doesn’t work.Is it a failure? Perhaps, but save the idea and re-work it later. It could be one of the best this year! Storytelling on the air must fit your personality. Some great stories with incredible punchlines just won’t work for your personality on the air. Don’t force it. Rework it to make it fit or discard it. You can’t just launch a good idea and hope for something good to happen. These breaks always end up falling far short of potential. One of the most rewarding ways to air check personalities is re-working one of their break by changing their own words in different order to turn ordinary (or worse) into wonderful. It isn’t hard to do. It usually just takes time and creativity. There’s no shortage of topics, content and ideas. Find the ones that are right for your character brand and customize the content to fit your unique personality and style. That means you’ll be leaving a lot of otherwise good ideas on the cutting-room floor. A great way to approach your show is to prepare tight and perform loose. Preparing tight breaks causes you to really know your material so it can be performed spontaneously and with creative energy. You may not be able to apply all of these ideas on the air immediately, but pick one or two and concentrate on how you can improve your storytelling one step at a time. Then, pick another and keep growing, learning and exploring new ways to entertain your audience. It could be the key that helps you break through to that next level.